Located on the tip of a seven mile long peninsula of sand dunes off the coast of Plymouth and Duxbury, Massachusetts the Plymouth Lighthouse is a place of historical firsts. 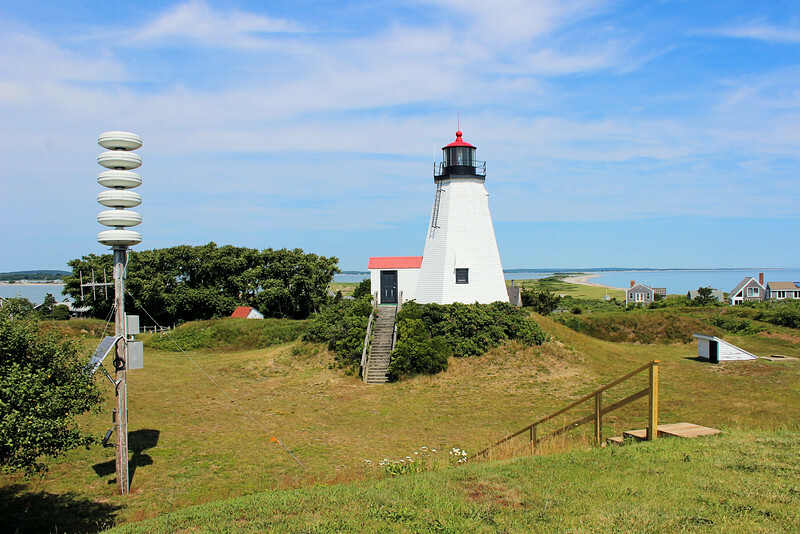 It is the home of the first twin lighthouses built in America, the first female lighthouse keeper and the oldest wooden lighthouse tower in the United States. To address the concerns of a large fishing fleet based in the towns of Plymouth, Kingston and Duxbury in 1768 the colonial Massachusetts legislature decided to establish a lighthouse station. The place chosen for the station was the tip of a sandy bluff on a peninsula known as the “Gurnet” at the entrance to Plymouth Harbor.